So much of what’s going on in your life is being shaped, affected or manipulated by Magick. But, whose Magick? Magick is using a specific method or practice, called ritual, to create or affect change in reality. Often times though, many people run subconscious programs of sabotage, fear, worry, or anxiety which end up creating (Magick) unknowingly. 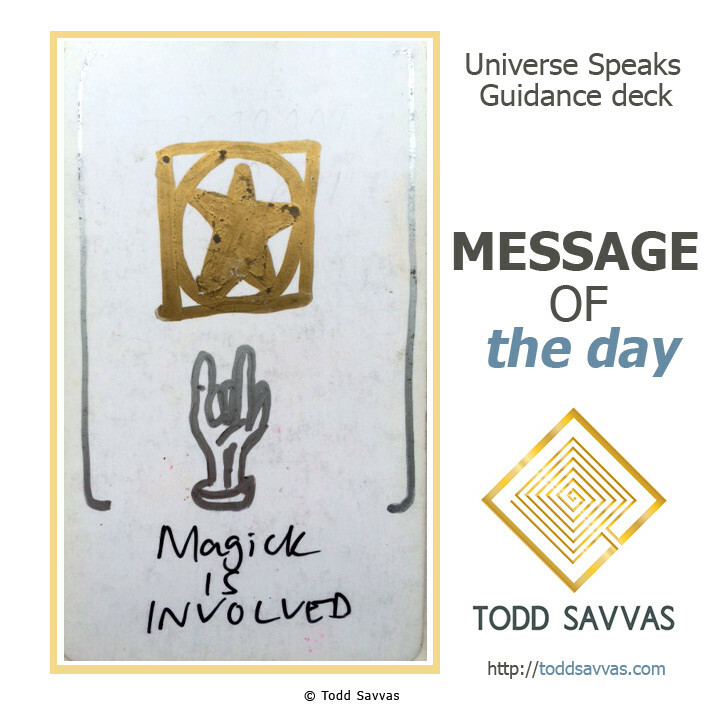 Today’s card appears to let you know that the circumstances you’re encountering are being shaped by Magick. So, the recommendation is to use Magick to change the circumstances. How? Well, there are many different forms of Magick, so it’s impossible to list all. But, intentions, visualisations, chanting, meditations, spells, candles, herbs, etc, are a few of the ways you can begin the process of using Magick consciously.